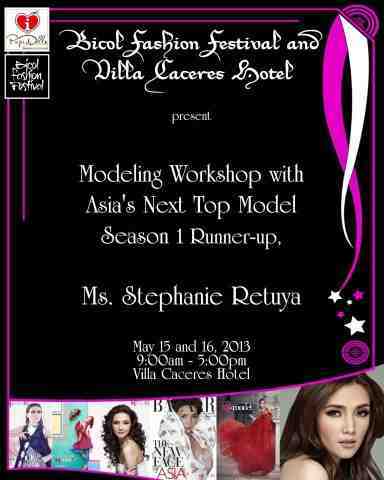 Bicol Fashion Festival is happy to announce that we will be conducting a modeling workshop in Naga City with none other than Philippine representative and runner up of Asia's Next Top Model Cycle 1, international Filipino Model, Stephanie Retuya!!! Coming this merry month of May. We will only be accommodating 60 slots for this once in a lifetime opportunity to work with a real, current, working model. The workshop will be concluded by a runway show with Stephanie of course. Please message Bicol Fashion Week Festival page for more details and inquiries. Thank you!